Barbarian: Dual Wielding with a "stat-stick"
I was looking for an upgrade for my off hand when I found a really low DPS dagger with amazing stats. 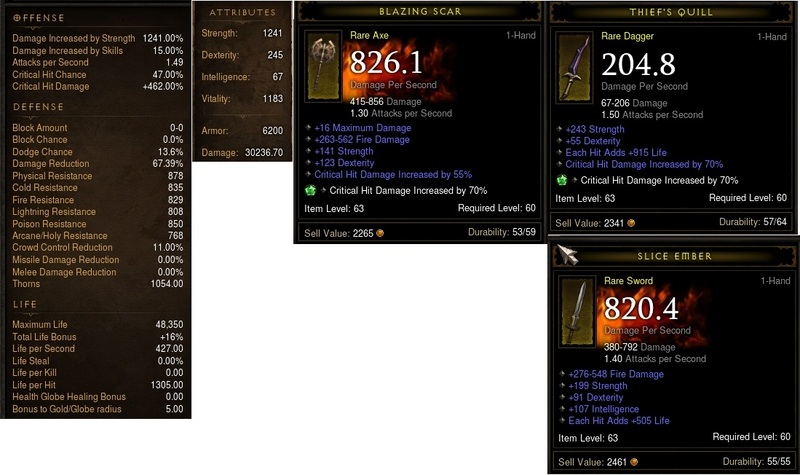 The stupid AH won't let you compare gear to what you have equipped so I used a DPS calculator and found that the low DPS dagger would actually increase my overall DPS. And since I'm using the Double Tornado build, my tornadoes are now doing a ton more damage.